I work as an introducer on behalf of a French financial firm. I would like you to send me the copy of the bank instrument / Bond you want to monetize at: [email protected] for my Managing Director's consideration and we shall get back to you with an interesting monetization offer. PPP, 300% Gross historical profit in 30 days bullet,50% per week X 40 weeks, Admin hold by MT/760 Block of Funds. Funds have to be free from drug trafficking, money laundering and terrorism. This is managed buy/sale of medium term notes with proven exit buyers. The instruments are sold first and then bought. It is leveraged trade through passive credit line. When sending a SWIFT MT-760 the funds are NOT MOVED but are BLOCKED/ RESERVED. It is held in the account of the client at the sending bank and the block SWIFT MT-760 is then used as negotiated (IT is non – Callable) collateral for the duration of the trading activity. Third party transactions are also acceptable. (1): 2% Advance of the face value received. (3): 40-weeks long term trade paying 50% of the face value per week. Advance: As a special consideration an advance of 2% is paid to the client within 3 banking days following receipt, verification and authentication of a genuine swift MT760. He is attempting to keep what victims he has and to continue to scam others. I am not a scammer for I never charge fees. I work as an introducer (with a verifiable mandate letter). Feel free to think what you want but don't denigrate honest and serious-minded workers because reputation is everything. My career has led me to specialize increasingly in travel and business at international levels. I have experience in: clarity in communication and easy personal inter-relations. My command of English has also left me confident in handling negotiations. -the text matches the original. -spelling and style are correct and consistent. -page numbers, headings and captions are correct. -photos and illustrations are correctly captioned. 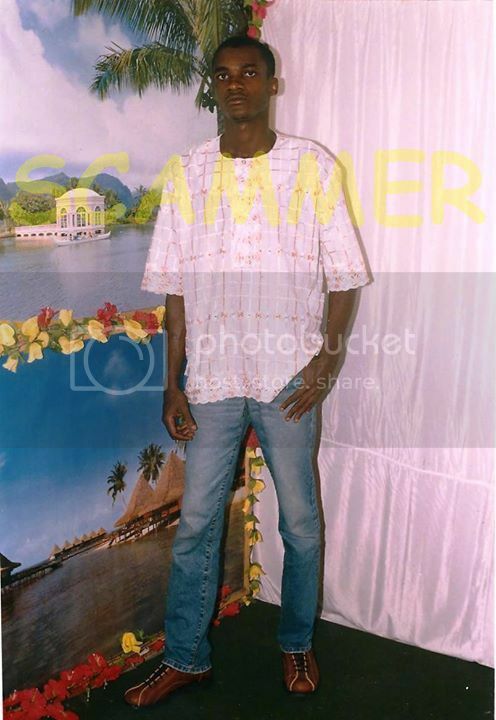 Dumb scammer, Marcel1981 wrote: I work as an introducer (with a verifiable mandate letter). You will have no problem providing verifiable contacts to the financial institutions that you introduce then will you? You will be highly satisfied with our service provision. We are looking forward to hearing from you. I work as an introducer on behalf of a French financial firm. We would like you to know that we monetize (simple discounting or discounting+PPP): MT760 (BG, SBLC, Block fund), MT103, CD's, SKR's, LTN's, Ven Bonds. If interested, kindly send me your instrument draft copy at: [email protected] for my Managing Director's consideration. As soon as we will receive it, we get back to you with an interesting monetization offer. We would like you to know that we are receivers (MT103/202, S2S, Wire Transfer, Weblink, etc.) We have receiving accounts throughout the world. We have Barclays Hong Kong, Barclays Singapore, Barclays UK, HSBC UK, HSBC Hong Kong, Bank OF China; Bank of Communications China, OCBC bank Singapore, Citibank Singapore and so much more. We can provide almost any bank in the world. If you have senders, just let us know please with details in order to proceed. The below bank accounts were provided to a victim who was told that he could use them to receive a multi-million dollar payment into them. No legitimate business or individual would allow their bank account to be used in such a way as it would leave them open to charges of money laundering. After your DD, send me please the contract and a contact request via Skype at: marceltheivorian so that I may put you in touch with the mandate to receiver in order to close the deal fast. I would like you to please to get in touch with me for professional partnership. We offer Bonds / Bank Instruments monetization, Private Placement Programs (PPP) and accounts receivable for Offline POS, S2S, DTC, MT103/202, MT103, Wire Transfer, FX4, L2L, DDX, EBICS. We have accounts receivable throughout the world. We have Barclays Hong Kong, Barclays Singapore, Barclays UK, HSBC UK, HSBC Hong Kong, Bank OF China, Bank of Communications China, OCBC Bank Singapore, Citibank Singapore and so much more. We can provide almost any bank in the world. I would like you to know that if you need a representative in Cote d'Ivoire (Ivory Coast) / West Africa, you can trust me. I am an experienced and serious-minded professional able to generate huge profits to your firm. MOST LUCRATIVE MONETIZATION PROGRAM OF THE YEAR! The 2% are our commission. Do you want to go in a trade program ? Can you issue a MT760 or MT799 in favor of the trader and a RWA? We also need CIS, KYC for trade purpose, including PP of the main rep. Thank you to contact me for any question. We would like you to know that we can monetize your Bank Instruments / Bonds.If interested, get back to us with the scan or draft copy of the instrument and we will immediately make you an offer. We would like you to know that we can monetize your (client's) certified Bank Draft. If interested, kindly get back to us with the scan / draft copy of the instrument + CIS /KYC of the owner and we will immediately make an offer.